Laboratories analysing food, the environment, and biological samples for compounds like dioxins, pesticides, steroids and other challenging analytes now have access to a new generation of GC-MS/MS from Thermo Fisher Scientific, designed to deliver more sensitivity at faster speeds than its predecessor. 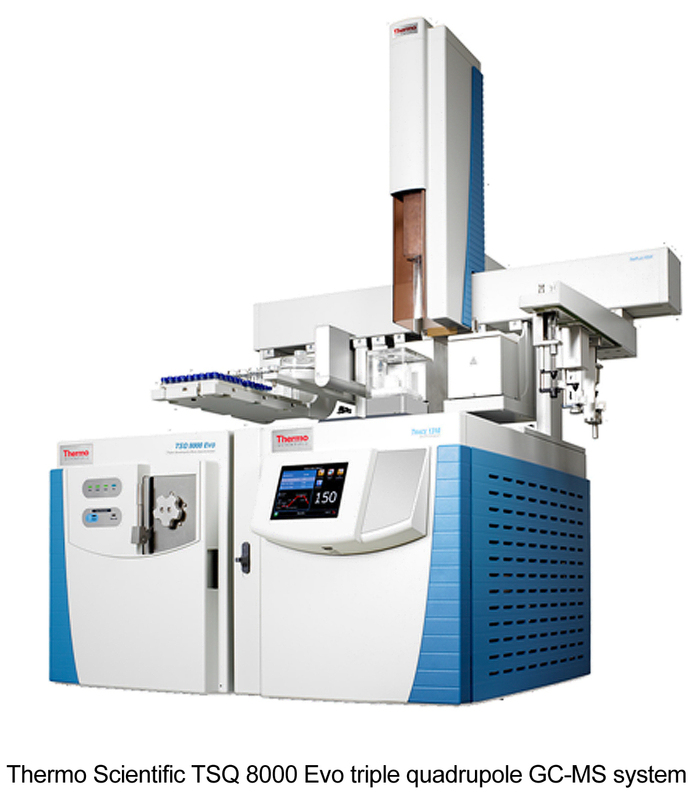 The new Thermo Scientific TSQ 8000 Evo triple quadrupole GC-MS system improves on the features of its predecessor, the TSQ 8000, with new EvoCell technology, demonstrated in company-run experiments to triple selected reaction monitoring (SRM) transition rates without compromising sensitivity. Contributing to this productivity is the included Timed-SRM software for optimising selected reaction monitoring schedules. Company-run experiments also showed that the EvoCell can enable triple the sensitivity at the same scan speed – allowing users to screen and quantitate more than 1,000 compounds in a single run at low limits of detection. The company has automated method development and management with enhanced AutoSRM software. Now, development of selected reaction monitoring (SRM) experiments on the platform is simplified even further. The instrument’s ExtractaBrite ion source is designed for high matrix tolerance to minimise sample preparation and cleaning. When the source does need maintenance, it can be removed without breaking vacuum to further enhance uptime.